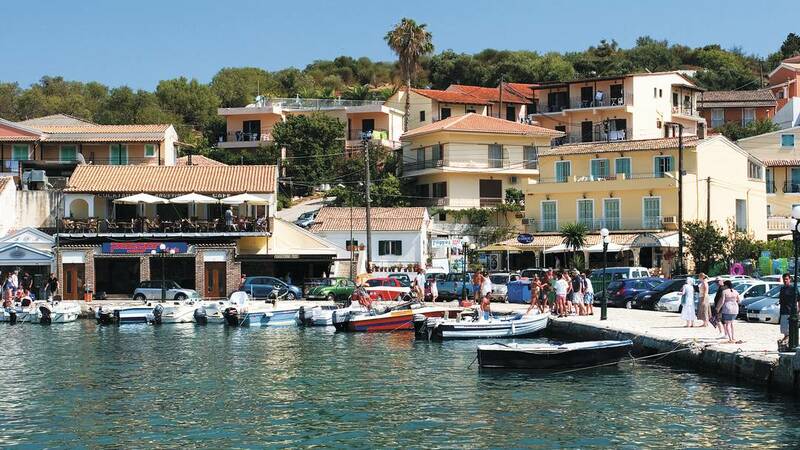 Kassiopi is a lovely fishing village on the northeast coast of Corfu, about 36 kilometers from Corfu town. Although the village has grown significantly over the past thirty years, the beautiful harbour and the village square remain largely unchanged. Kassiopi has something for everyone: a fine selection of beaches, plenty of bars, restaurants, shops and boats. Here the old sits comfortably side by side with the new and while you relax in the port you can enjoy the view of its Byzantine Fortress, the rugged coast of Albania and the comings and goings of fishing vessels. The village dates from around 200 BC when the king of Epirus realized the strategic importance of the north-east coast of Corfu. After the Roman subjugation of the island in 230 BC, the importance of Kassiopi is proven by the many notable hits including the emperor Nero who chose this place to build his baths while visiting the local temple of Zeus. At that time Kassiopi had even its own mint. Nowadays, the Church of Kassiopi is located on the site of the old temple, built centuries ago by Kassius Zeus believers. Above the town are the remains of Kassiopi Byzantine Castle. The remains overlook the harbour and continue around the headland. Today the castle is mainly ruinous, but parts of the walls can be seen from the coastal road around the headland. Since ancient times Corfu is starring in the history of Greece. Due to its important geographical location (situated at the northern edge of the Ionian Sea) as well as its natural heritage, Corfu Island has always been targeted by powerful forces concerned such as Venetians, French and English. Each conqueror left its traces on the character of the island. 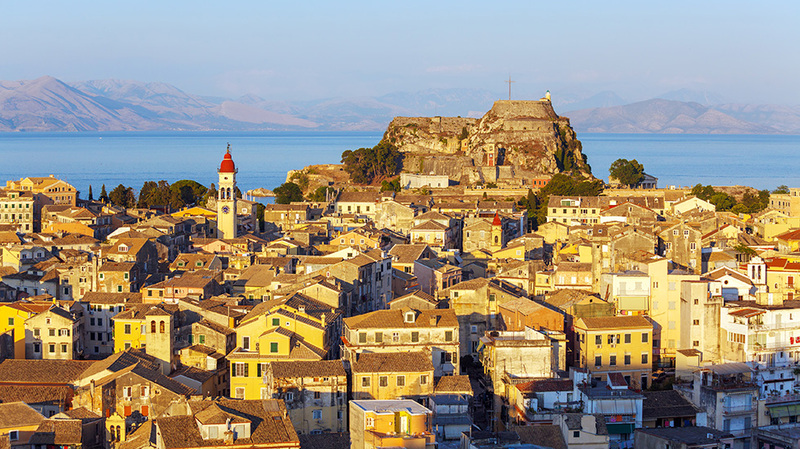 Corfu Town looks very different from most Greek towns, because of Corfu's unique history. The long coexistence of Corfiots with their conquerors contributed to the particular culture that distinguishes them.